While the major technology companies clearly have the economic power, they began to feel the pain of having to battle the world’s newsmakers. For all of the good thing technology, digitalisation and the Internet have brought us, it has also created the possibility of a dystopian future where we live under constant surveillance and our most intimate desires are sold for pennies to rabid advertisers and politicians. These fears, becoming all the more clear to those of us who work in digital, are nothing short of real, as these things are happening across the globe, from mass surveillance in China to electoral manipulation in the United States and Argentina. Another negative side effect of the evolution of the Internet, and the growth and dominance of major platforms like Google and Facebook, is the rise of fake news, or misinformation campaigns rather, coupled with the gradual demise of professional journalism. 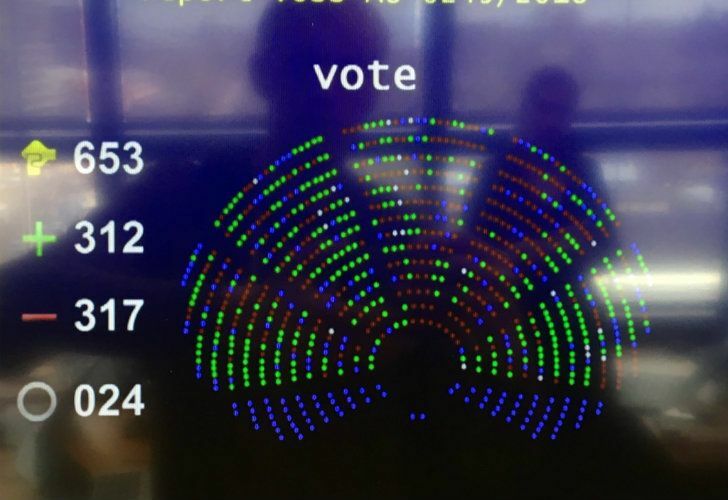 The European Union took a step to revert that issue during the last few days of March amid deep controversy and fierce criticism from web activists, many of them directly or indirectly funded by Google and other platforms, as the rest of the world looks toward the Old Continent for guidance, either for or against. Only a few years ago, regulators across the globe were agreeing to a set of rules that were suspiciously similar, despite no connection between the bodies and institutions putting them into play. In the context of the debate about net neutrality, Google, Facebook and other platforms argued that in order to guarantee a free Internet they needed at least two important pieces of legislation: platforms would not be responsible for the content that flowed through their different channels, and governments would abstain from enacting laws and instead allow for self-regulation. While these concepts seemed to protect user generated content and independent artists, while limiting censorship, it effectively gave platforms free rein to generate massive profits while being exempted from copyright violations that occurred on their sites and applications. This exact wording had passed through the Argentine Senate and was about to be sent to the Lower House for approval before several groups, including Editorial Perfil (through ADEPA, the Argentine newspaper industry group), lobbied to defeat what was a pernicious piece of legislation. Europe has been at the forefront of the issue for more than three years, with Mathias Döpfner, CEO of Axel Springer—Europe’s largest publisher — and head of the German newspaper industry group BDZV as one of the strongest supporters of making the platforms responsible for fairly compensating content creators. The EU Copyright Directive was approved by the European Parliament, meaning that after passing the European Council, member nations will have 24 months to pass domestic laws regulating it. Particularly relevant are Article 11, which generates a publishers’ copyright, and Article 13 (later rebranded 17) making platforms responsible for content on their different sites and applications. The publishers’ right or ancillary copyright gives journalistic media companies the legal power to sit down with Silicon Valley’s largest players and negotiate fair compensation for the use of their content. This should “create the basic rules so that journalistic models can develop online,” in Döpfner’s words. It is not totally clear what will happen now, as the wording of the law is inherently vague in some regards, and as Google has circulated thinly-veiled threats indicating it was considering shutting down some of its services in the European Union. Tech company-lobbying was behind preposterous claims such as that these new rules would destroy the Internet by taxing links, limiting research, fatally wound Wikipedia, and eliminate the meme and other digital humour and satire. None of that could be farther from the truth, but several issues still need to be sorted out. The Internet, especially in a world where some 17 billion devices are currently connected to the web, is an inherently new and different kind of network. It is dynamic and growing exponentially, while companies operating in and on it have grown to become the world’s most valuable. There are many issues that still need to be sorted out, but the European Copyright Directive definitely begins to even the playing-field. Anti-trust is another key factor, even though I won’t get into that here. While the major technology companies clearly have the economic power, they began to feel the pain of having to battle the world’s newsmakers. Google, Facebook, Apple, Amazon, Microsoft and a few other companies have amassed the world’s largest data sets of personal information in history, with which they have stealthily created an invisible power structure that not even Michel Foucault could’ve dreamed about. This became apparent after a string of unfortunate events, culminating in the Cambridge Analytica scandal that proved to whoever wanted to hear that electoral manipulation through these platforms was a joke to pull off, and that Russian agents responding to the Kremlin had intervened in the 2016 US presidential election that saw Donald Trump take the White House. Even if publishers manage to build sustainable business models, which in turn leads to more journalists in the streets and therefore better information on key issues circulating across the Internet, there are still some crucial issues to be resolved. While this will help battle misinformation campaigns, there’s still the issue of automatisation and personalisation. With our personal data, these platforms have generated algorithms designed to optimise processes, with the dual goal of improving our experience while searching for stuff or using social media, but also to sell us more ads. This has allowed them to build precise psychographic profiles of nearly everyone in the world, while at the same time track us, hear us, and even watch us. Most of us don’t care, as these things improve our user experience, until we realise what’s being done with our data. While automatisation and personalisation are good things in theory, the coming of artificial intelligence, machine learning and the use of neural networks means these algorithms will go into overdrive. We still have no idea what effects these things are having on our brains, or those of our children. Google realised years ago that it needed to have a say in what regulators and the public opinion thought about its activities, so it put together the most formidable lobbying team in the world. Now, Facebook, after several public relations disasters, is trying to get ahead of the curve. Founder Mark Zuckerberg interviewed Döpfner recently, then met with politicians in Ireland, gave an interview to ABC News and wrote an op-ed for The Washington Post. His point: it’s time to regulate big tech. It’s good that Zuck and the Google guys are finally waking up. We need them, but they need us. Let’s hope this thing called the Internet can be built for good, and not simply for profit or control.